No. 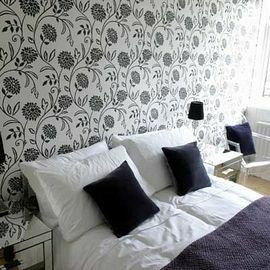 3 is a small and elegant B&B with 2 guest bedrooms and is aimed at both the discerning tourist and the business traveller. Blackhall is a wonderful base to explore the City of Edinburgh. We are ideally located in West Edinburgh, 10 minutes from the City Centre and Edinburgh Castle, to which there is a frequent bus service. We are also close to the airport, city bypass and motorway links to the rest of Scotland and UK. At the same time it offers a taste of living in an Edinburgh community. It is only a minutes walk to Ravelston Wood Nature Reserve. Several well known golf courses are also within walking distance. 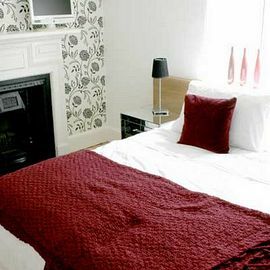 Enjoy your visit to Edinburgh from the comfort of our newly refurbished Victorian Home. Room 1 has a king sized double bed (or two singles) and is ensuite with both a bath and power shower. 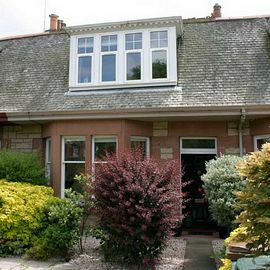 It has a large south facing window overlooking Blackhall Lawn Tennis Club and Ravelston Woods. Room 2 has a double bed and is ensuite with a power shower and faces to the front of the house. 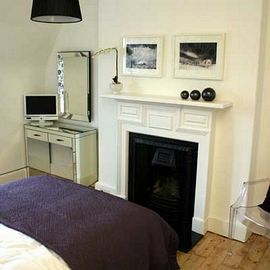 Both Rooms are newly refurbished to a high standard, retaining the original victorian features, and have colour TV, wireless broadband and a comfortable seating area with tea and coffee making facilities. Newly refurbished rooms with ensuites. 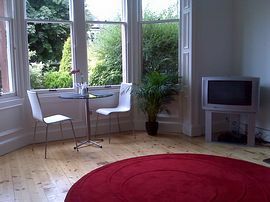 Single occupancy: From £35.00 to £50.00. Double occupancy: From £65.00 to £90.00.